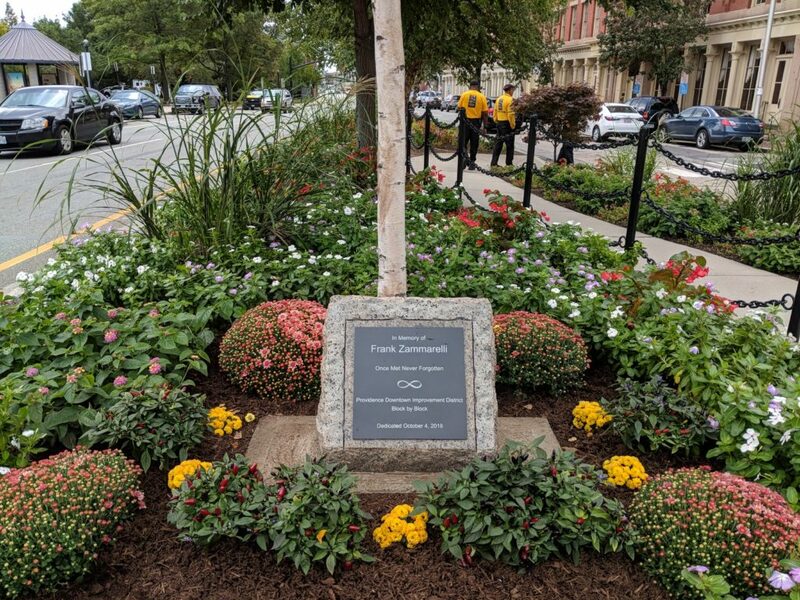 Earlier today, a crowd gathered near the Crawford Street bridge to dedicate a gateway ground garden to former Providence Downtown Improvement District (DID) Operations Manager Frank Zammarelli, who passed away in June 2017. Zammarelli initiated the DID’s seasonal landscaping program about a decade ago and gave that particular garden special attention, transforming the area across from Capriccio’s into a beautiful island along Memorial Boulevard. 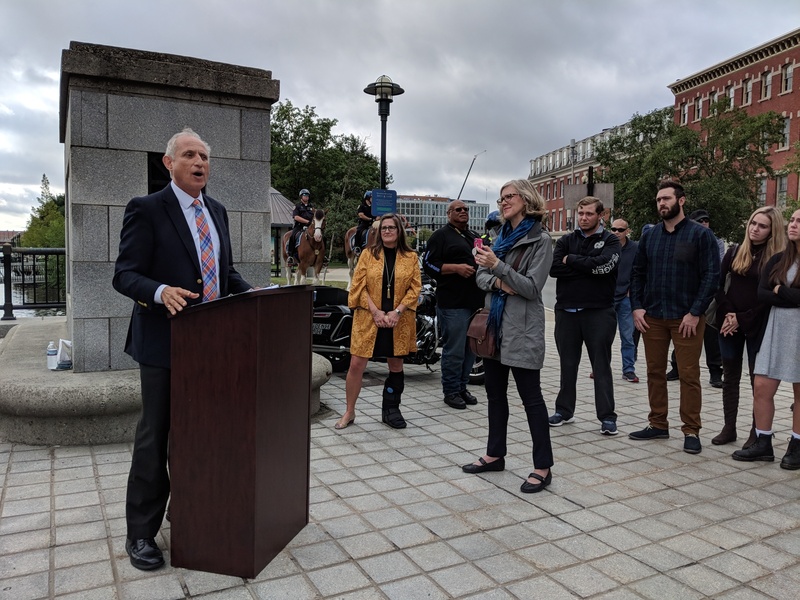 DID Executive Director Frank LaTorre led a brief speaking program which also included Representative John Lombardi, a former councilman and mayor, and Richard Lappin, DID board member and former chairman. LaTorre welcomed Zammarelli’s family, friends, and former colleagues to a fitting tribute for a man he described as putting his “personality, passion, and caring into all aspects of his work and his life.” He said that Frank loved planting flowers downtown, especially in that garden on Memorial Boulevard, and he loved being with his crew. To the ambassadors, he was a friend, mentor, and their biggest champion. Representative Lombardi spoke about his close friend Zammarelli’s loyalty, calling him a “kindred spirit.” Although he was “tough as nails,” Lombardi said that anyone who met him couldn’t help but love him. Describing Zammarelli as a true gentleman, he said that there was “no better man, no better brother, no better police officer, and no better father.” He added that Zammarelli had qualities we should emulate, and while he left us too early, he touched us all. As the gathering concluded, LaTorre advised everyone to come back to the garden, take a moment to reflect, and continue to carry Mr. Zammarelli’s vision forward.